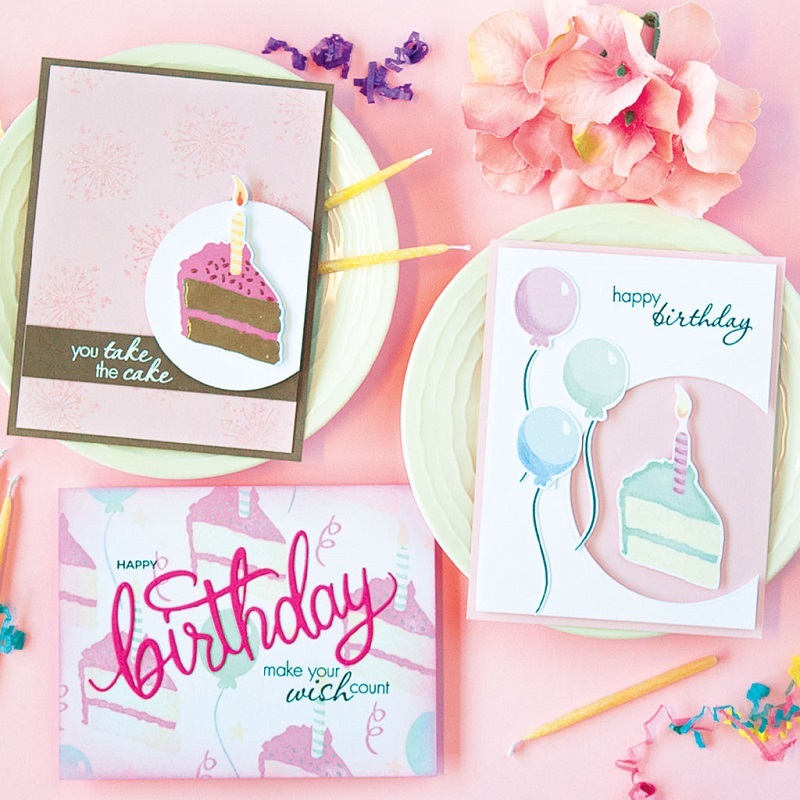 Hero Arts' Color Layering Birthday Cake stamp set is a 4"x6" sheet of clear stamps with 18 stamps. Approx. size of 2-step cake with candle stamp: 1.5" x 2.5". Approx. 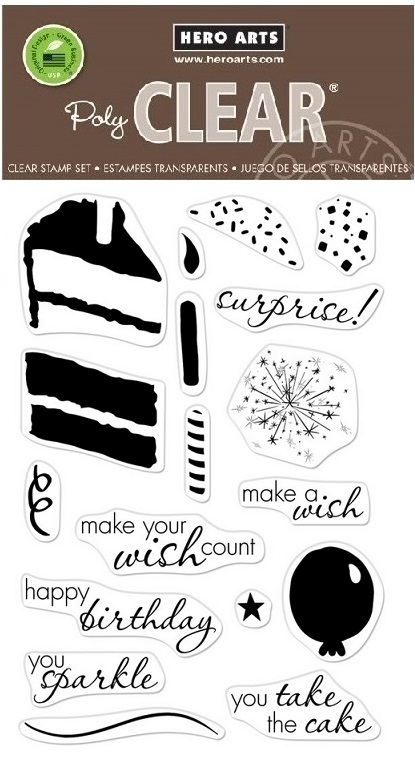 size of balloon stamp: 0.875" x 1.12"
Made by Hero Arts in the USA from genuine photopolymer. Unmatched quality means a crisp impression every time.